Bradwell’s a favourite race for many, including myself, and it didn’t disappoint this year. 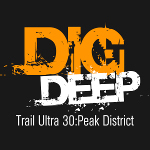 It’s a ferocious route, with a lot of climbing in the first 20 miles. 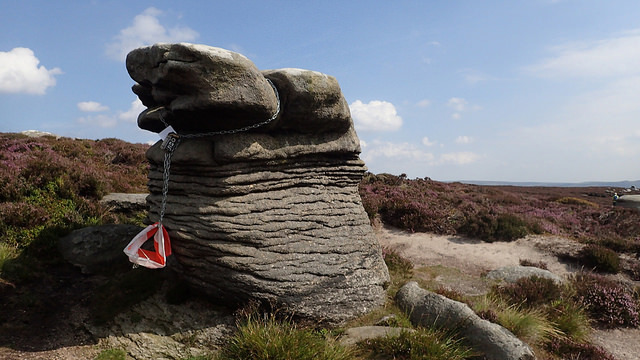 The weather was good: warm, perhaps a bit too warm, but there was a bit of a breeze once we got a bit higher up, enough to mean taking a bit more care along Stanage Edge than usual. 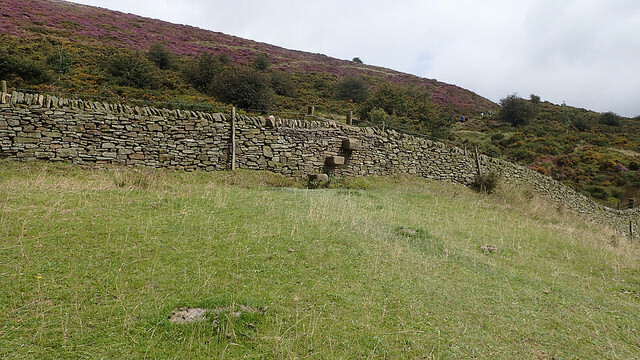 There was a diversion on the climb out of Bamford, since the Bamford Clough track is closed at the moment. It was a bit further, but my opinion is that the diversion was a better route: I don’t mind the steep climb up the track, but I hate the road stretch after it, and the diversion avoided this too. 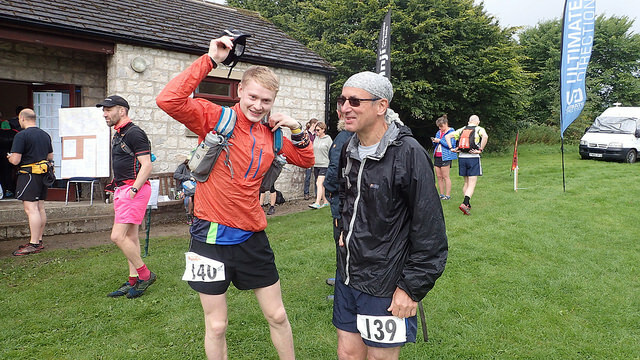 First home was Ian Symington of Calder Valley Fell Runners, in 5:10:14, a minute or so slower than his 2nd placed run last year, but then there was a bit further to run this year. A great effort. Ken Sutor was 2nd in 5:24:49. First woman home was Helen Pickford of Sheffield RC in 6:06:15, with Nicky Spinks second in 6:20:24. Full results are on the race website here. Nick took a load of photos, and you can find them here. 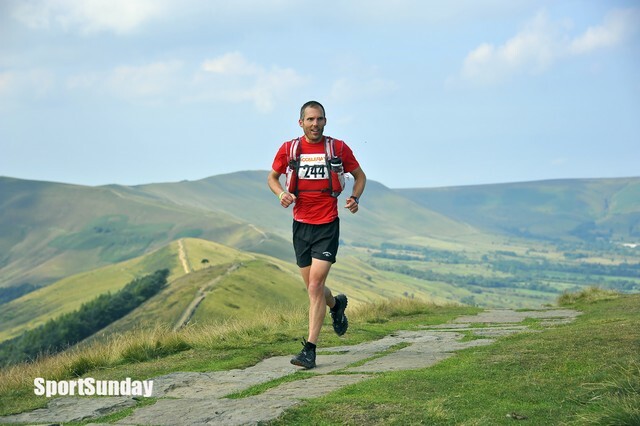 Nick’s written a race report, this time from a photographer’s point of view as he wasn’t fit to run. It’s further down this post, after the Runfurther standings. 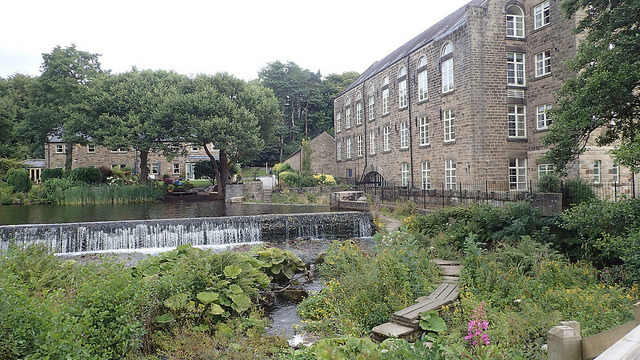 Nigel Aston’s also written a report, with a few of Nick’s photos in it, and that is here. The Championship is now hotting up, and it’s now a bit clearer who’s in with a chance of winning what. Nigel Aston and Emma David are still going strong with their Grand Slam attempts. They’re also currently the overall leaders, but whether they’ll stay there is open to question. The Championship leaderboards are here. 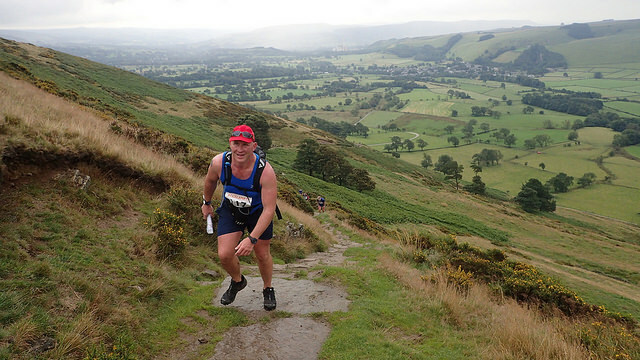 If anyone is in touch with John Bottomley of Totley AC, can you ask him to email me his contact details (address, phone number, email address). He gave me a form to join Runfurther at Bradwell, but I can’t find it! As I said, Nigel Aston is currently leading, but he’ll be very lucky to stay there I think. The most obvious person who can catch him is Ian Symington, who could overhaul Nigel if he only walked the Round Rotherham 50. However, Ian ‘s not entered Rotherham as yet. Lee Knight’s another possible, but he’s still not joined Runfurther. 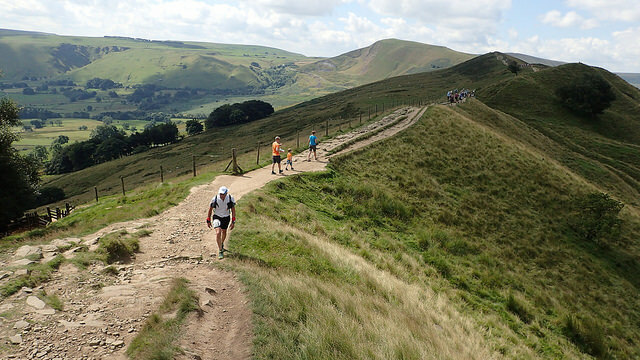 If he joins and runs either Skiddaw or the High Peak 40, he’s also going to overtake Nigel. I wouldn’t rule out Ned Lammas either. My money’s on Ian if he runs at Rotherham. Watch out for Ken Sutor too: he’s only run two races so far, but he’s entered all 3 remaining races. I suspect he’ll end up the winner if Ian doesn’t run Rotherham. Nigel’s well-placed to win the MV50 category. Mick Cottam is currently 2nd but is well behind on points and won’t catch Nigel. 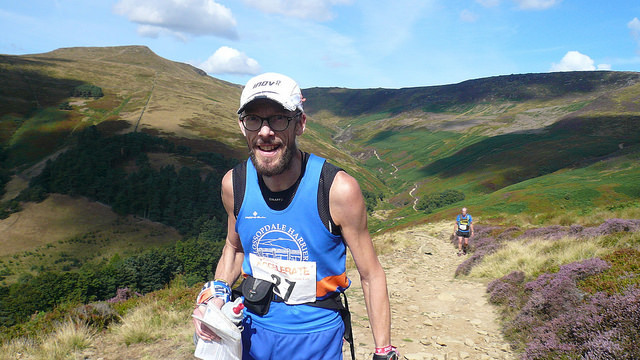 Martin Terry could catch Nigel, but only if he runs a blinder at Skiddaw (he’s entered) or the High Peak 40. Steve Dixon is currently the leading MV60. I suspect I’m the only one with a chance of catching him, although I can only do that with strong results in all 3 remaining races. I’ll do my best but I suspect he’ll end up winning! Emma David is just in front of Karen Nash, and the two of them have been at the top of the list all this year. Karen can only catch Emma now if she’s first woman home (or very close to it) at either Skiddaw or the HP40. They aren’t necessarily going to finish 1st and 2nd though. Kate Whitfield has only 3 counters so far, and her average score per race is slightly higher than Emma’s. She’s entered both the HP40 and Rotherham: it’s her HP40 score that will be the important one. 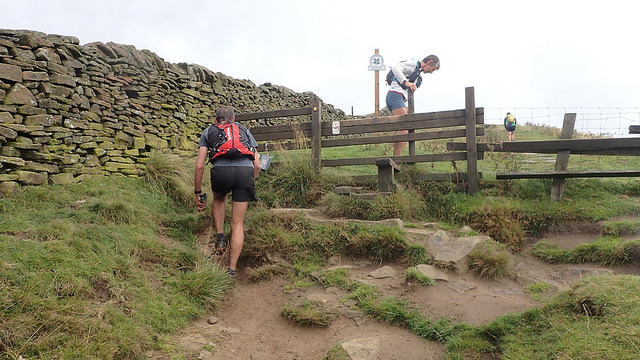 Nicky Spinks can’t be ruled out either: she’s currently got 2 good counters and a comparatively poor one (I think she ran the Haworth Hobble as a social run with friends). Nicky would have to run Rotherham though, and she’s not entered as yet. I don;t think anyone’s likely to catch Karen Nash in the MV50 class. 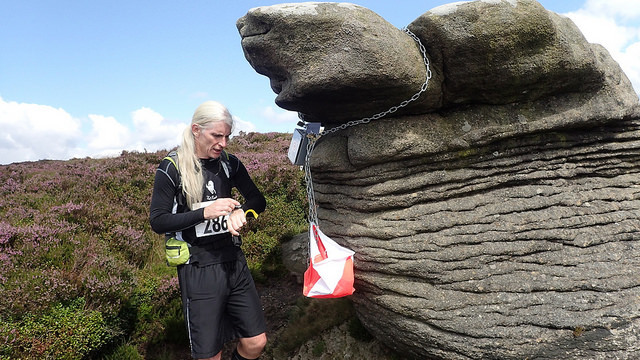 Janet Hill is likely to be 2nd, providing she runs either Skiddaw (which she’s entered) or the HP40. The team competition is starting to make a bit more sense now. 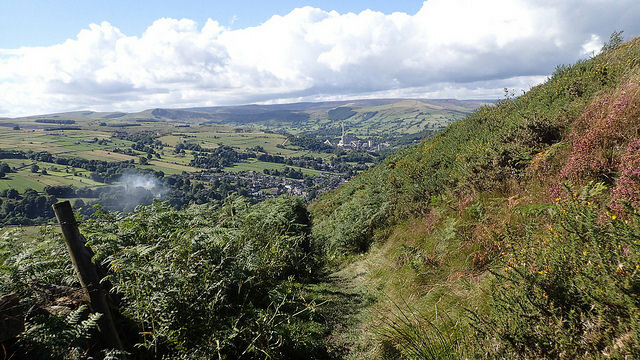 Calder Valley Fell Runners are now top team, with only 8 counters out of a possible 12. They’ll take some catching, as 2nd placed Trawden have 9 counters, and 3rd placed Darwen Dashers have 10 counters, so the CVFR average score per race is a lot higher. 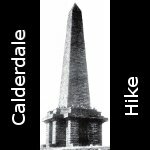 The High Peak 40 is where the team result will be decided I suspect, and I reckon Calder Valley will have it in the bag then. For the first time since its inception in 2009 I was not able to take my place on this event because my body was a battleground between disease and antibiotics. I elected not to give my kidneys a double hard time and played roving photographer instead. I really enjoyed watching for a change on yet another glorious sunny day with spectacular views. I got a couple of half decent walks in as well. The 33 mile Long Tour departed from the park at 9am and the 16 mile Short Tour departed at 9:30. At around 10am I tootled off to Killhill Bridge in the car (CP7 on the Long route) and walked back up the route towards Lose Hill. The first 16-milers came speeding down as I walked up. 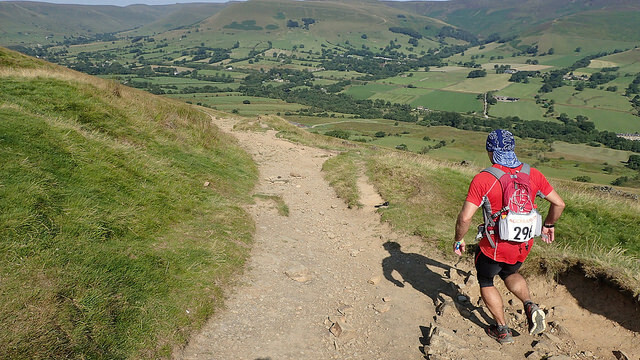 Their route short-cut straight along the ridge from Hollins Cross to Lose Hill, avoiding the descent to the Edale Valley and up to Druid’s Stone and back which the Long Tour takes. 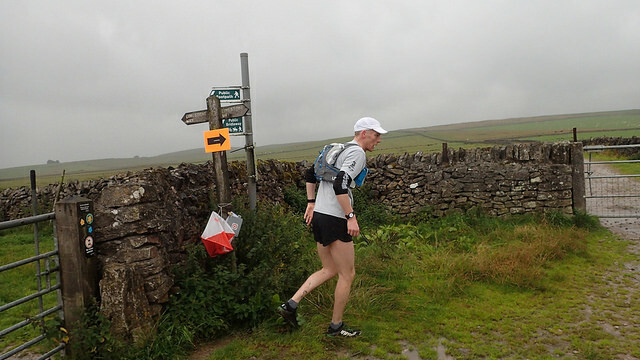 Many of the 16-milers had passed through before the first 33-miler – Ken Sutor – ran up to Lose Hill summit looking strong. As he began his descent he stopped and seemed to look confused. I ran back to ask what was wrong. “I think I missed the last dib point.” I explained its location at the fence before the summit. 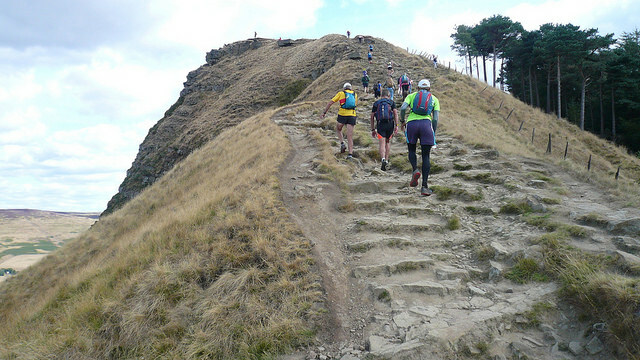 He set off back down the path against the flow of 16-milers. A couple of minutes later he was back, still with a smile on his face and he hadn’t been caught by the second place runner. A minute after Ken, Ian Symington ran past in second place, looking comfortable and well in control. He probably got a fillip when I told him that he’d just gained on the first placed runner thanks to the missed dib. 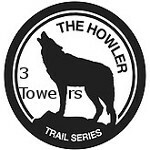 In third place at that early stage was Jacob Myers, only another minute behind Ian. A minute behind Jacob was Johnathan Cooper-Knock in fourth. Another minute behind Johnathan was Chris Perry in fifth. 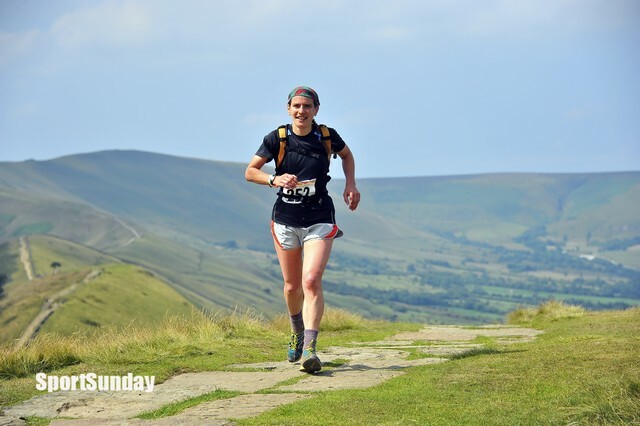 First woman over Lose Hill summit was Nicky Spinks, with Helen Pickford hot on her tail in second and Hazel Tant hot on her tail in third, all within the same minute. The women’s race was looking really tight at the front end. 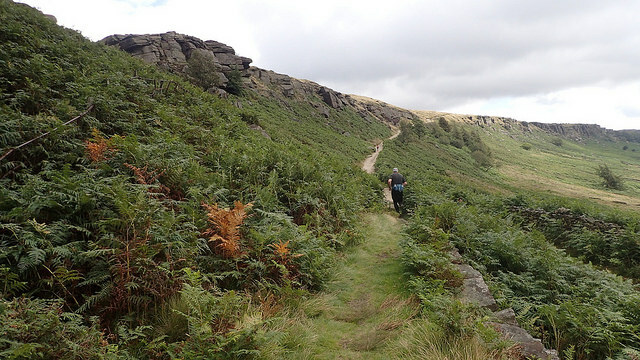 I wandered back down to CP9, snapping the passing runners as I went. The marshals were having fun with the water supplies. Various spillages, upset water jugs and a tap that was difficult to turn off had left the ground underneath the table in a localised state of flood. The kind offer of water refills from the nearby residence was stretched to the limit. 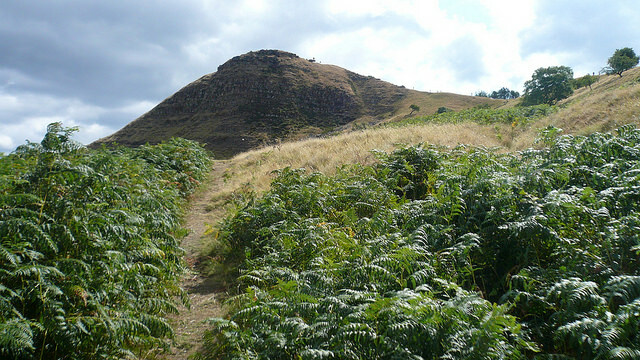 With a feeling of mild puzzlement I climbed steeply through the undergrowth towards the summit, thankfully not meeting another runner on the way down. 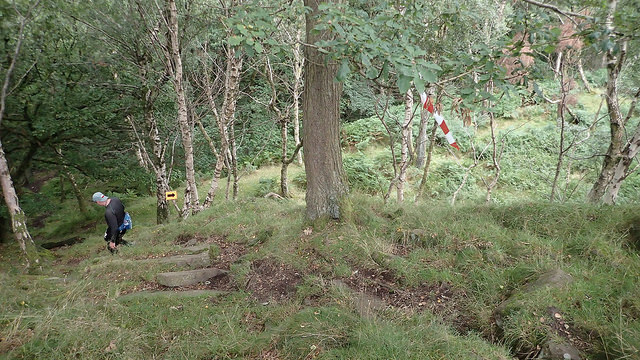 There were no passing places and I didn’t fancy getting mowed down by a tired, gravity-assisted runner. On two occasions I drifted off the main path (such as it was) by accident to hack through even thicker jungle. It’s surprisingly easy to lose the path on the way up. That could have been when I missed second runner Ken Sutor because I have no photographic record of his passing. Perhaps he took a long route back to the finish. 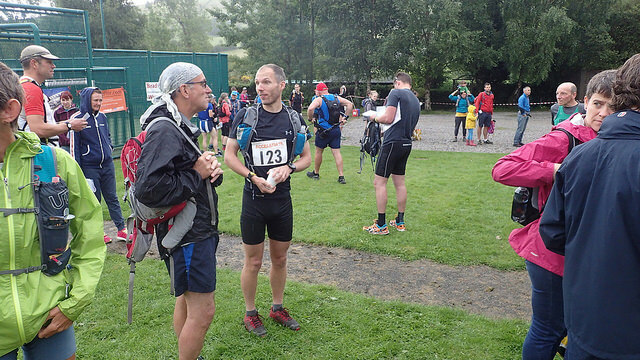 I did see the third placed runner Chris Perry after I’d emerged from the jungle. Their respective finish times were 5:10:14, 5:24:49 and 5:30:36. 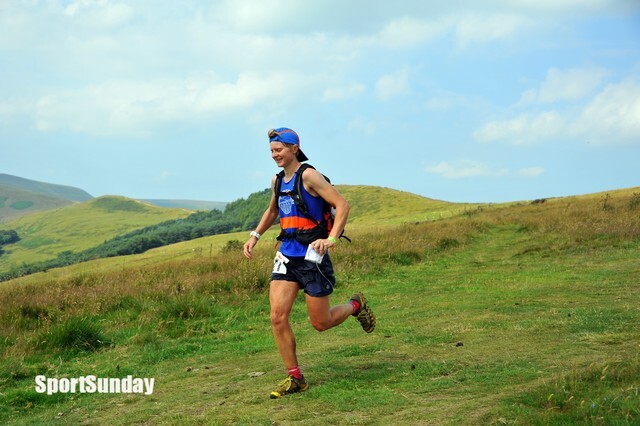 First woman past was Helen Pickford in 16th place. 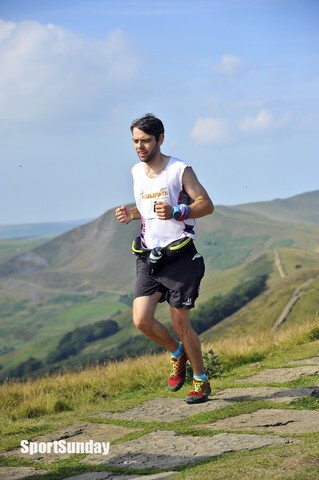 Second was Nicky Spinks in 21st place. She remarked in passing that she’d never had cramp force her to walk like was happening now. The Long Tour of Bradwell seems to do that to people. Third was Hazel Tant in 26th place. Their respective finish times were 6:06:15, 6:20:24 and 6:31:43. I enjoyed an hour or two walking or lounging in the sun and photographing the occasional passing runner (they were so spread out now) before descending back down to Bradwell, purchasing a Bradwell’s ice cream on the way back to the finish (pure heaven). Back at base even more runners were lounging on the grass, one of whom was Ian Symington. I offered my congratulations to him for the win. He asked: “Did we really have that conversation where I asked what cushion I have and you said there’s only grass?” It transpired he was asking me what time cushion he had to the second place runner so he knew how hard he had to push (or not). Oops. Well, I wouldn’t have known anyway because I’d walked up from the finish and had no idea who was coming until they appeared. It was a grand day yet again for the Long and Short Tours of Bradwell, with some impressive performances as always. 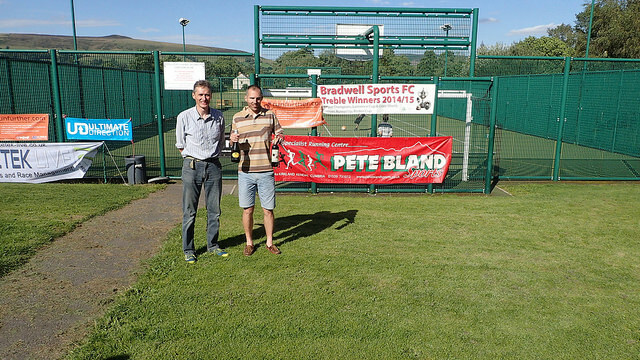 Many thanks to Bradda Dads and marshals for making it happen. I hope to be taking part again next year.